» The Top 10 Reasons Why Ministries Fail and How To Avoid Them! If you have the desire to start a ministry, it’s likely you want it to succeed. You believe you have been “called” to carry out a mission, and you want to please God in your execution. Unfortunately, ministries are counted amongst the 80% of small business failures because while well intentioned, most don’t work. If you know why most ministries fail, you can avoid doing what they’ve done, which is why I’ve written this article about why ministries fail. According to Forbes, David Oyedepo is the richest pastor in the world with a net worth of $150 million. He didn’t start out with a lot of money. In fact, it’s noted that he was raised by a middle class family: his dad a Muslim healer and his mom from the order of the Cherubim and seraphim movement. He was raised by his grandmother, who taught him Christian principles. In his young adulthood, he studied the field of architecture and worked briefly in the Ministry of Housing, then he resigned to focus on mission work. In 1983, he founded the ministry, Faith Tabernacle, and since has grown it to have a 50,000 seat auditorium that holds the Guiness Book of World Records for largest church auditorium in the world. He also leads a network called The Winner’s Chapel Network of Churches that includes churches across 300 cities. In less than 30 years, he’s started and scaled a ministry that’s reached millions (possibly billions) of people! In contrast, you have the struggling ministries we’re used to seeing. They’re “just getting by”. 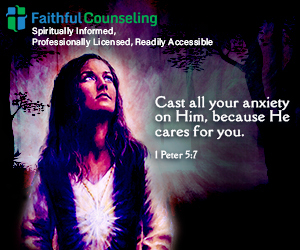 They may or may not be on the ministry payroll, and personal finance is stressful added onto the ministry deficits. They’re constantly hoping for the next big donor, next big grant, or the next big fundraiser. They feel “bad” to talk about the ministry as a business or how it should profit, how the profit could be used, or anything aside from “letting God work” or “letting hearts feel inclined”. They sacrifice their family life and social lives to do the work of the church, but it’s an ongoing thing: someone always needs prayer, someone always has a relationship problem, and work always needs to be done. Then, when they decide to take a vacation, it seems like everything hits the fan! What’s the difference in the Oyedepo’s and the struggling Ministers? How did Oyedepo manage to navigate past the financial oppression and gain the necessary reach to touch such a large percentage of the world? While we may agree or disagree with their doctrine or even their tactics, we can’t disagree about whether Oyedepo or other megachurch ministries are effectively reaching large masses of people. There’s proof that their reaches are astounding! The combination of the world’s richest pastors and their ministries reach more than half of the world’s population! Billy Graham reached 215 million people in live audiences! The system that the world’s richest pastors use to reach large numbers of people works. Whether we agree with what they’re saying when they’ve gained the attention is debateable, but if more of the church knew how to spread the Truth as these men do, the world would be DRASTICALLY different. Relationship with God is key. Prayer is key. Fasting is key. Being led by the Holy Spirit is key. Unfortunately, many Ministers are so focused on the work of pastoring: counseling, studying, praying, preaching, and so on, and they don’t balance the work with the strategizing necessary to expand. They’re working 12 or more hours per week, 7 days per week, but they’re working IN the ministry not ON the ministry. They may be good at writing a sermon, preaching, counseling, or saying a prayer that makes chills go up your spine, but they struggle with generating revenue, delegating, empowering a team, or marketing that’s needed for expansion and increased effectiveness. They are a good technician and they don’t want anyone to tell them how to do it, and they’ve fooled themselves into thinking that because they are a good preacher, they are a good church planter or ministry administrator. Since they believe their work is essential to run the church, they don’t invest in learning what it would take to scale the church. They may spend time learning more about prayer, more about fasting, more about marriage counseling, or other necessary tactics, but they don’t learn sales, marketing, leadership, accounting, and the other components necessary to make a ministry work. They may need to learn how to do market research and design events people would pay to participate in, how to write books, how to distribute their messages by recording them, or how to pitch the media so they can respond to the tumultuous times we live in. If you spend too much time around people who need you, and not enough time with people you need, you’ll regress. Whether you find mentorship thru a credentialing organization or simply by an Entrepreneur who is managing a business effectively, it’s important for ministers to learn entrepreneurial skills by associating with successful people. Others have experienced obstacles like funding, retention, finding a location, creating content, or other challenges, and they can help you to accelerate your learning curve if you let them. Often times, we expect that great preachers would be great mentors because they can “wow” a crowd. We also think that reputable organizations would be able to give direction because they are large or noteworthy. It’s not all about captivating an audience or having a “big name”. Unfortunately, some people are “stingy” with sharing what they’ve done. Alot of the people who we expect to help in the ministry circles profit from teaching tactics like how to preach better, how to study the Bible better, but not how to reach the masses or practical solutions for how to grow a ministry. Many great ministry leaders are staying loyal to organizations who treat them as subordinates for years and years until eventually, they decide to “jump ship”, but they haven’t actually been prepared to lead an organization. It’s unfortunate. Sometimes, “I’m praying about it” or “I’m waiting to hear God speak” is being used as a cop out. Rather than using the innate abilities to learn or the open access to information as a means to learn the valuable skills that ministry needs, many people use religious verbiage as an excuse to be stagnant. In other areas of our lives, if we’re trying to run a marathon, complete grade school, or even simple things like going to the grocery store, we’re okay with “acting like it depends on us”, but then when more ignorant areas surface, many people default to religious verbiage as a coverup. Sometimes, if the ministry is not taking form, rather than creating better operating systems–better lead generation, better lead conversion, or better leadership systems–ministries are saying, “maybe we should get better Church School curriculum, maybe we should get a nicer offering basket, or maybe we should have better sound quality. Focusing on perfecting operations cannot fix a broken lead generation or conversion system. If more people are not coming, maybe more time should be invested in marketing. If the finding is a consistent problem, maybe more emphasis should be placed on adding in paid products or programs. No seminar on “How to Pray Better”, “How to Sing Better”, or “How to Preach Better” can fix the marketing and sales holes. Even worse than going on a rat race buying and buying “opportunities”, some ministries don’t apply what they could from the things they’ve purchased. Rather than the focus of the church funding being on outreach to be effective with the Great Commission, the money becomes almost in vain because it’s being used to patch holes of ignorance. In his book, Seven Habits of Highly Successful People, Stephen Covey talks about how successful people manage their time. He talked about various activities that we can use to monopolize our time, and how people who aren’t successful spend more of their time on time-wasters or “putting out fires”, rather than quadrant to activities (prevention, recreation, and planning). While it’s important to “put out fires”, it’s equally important to prevent them. When you look in the Bible, you find several times where the greatest leaders (including Jesus himself) stepped away. Sometimes, it’s important to step away, so you can plan, regenerate, create strategies, and visualize more effective processes. I’ve had countless experiences talking with pastors that are uncomfortable with “business plans” or “ministry plans”. The same components that make a business successful are the same components that make a ministry successful. If a ministry will effectively continue increasing it’s reach, there have to be clear and attainable goals. If effectiveness serving people is the goal, there has to be a plan. “We pray like everything depends on prayer, and act like everything depends on us” . God will bless our best efforts. The goal of this article was to show why ministries fail, so you can avoid falling into the same traps other ministries fall into. I understand it can be a challenge reshaping and rebuilding to avoid falling into these same traps. It’s almost natural to fall into one of these traps if you’re not careful. If you have questions or concerns about this, don’t hesitate to leave them in the comments section. I’d love to help you out! 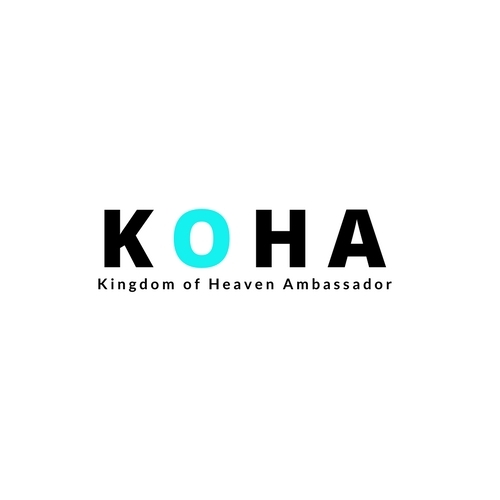 If you like what you’ve seen here at KOHA, and you’d like to work with us to start or scale your ministry by leveraging the internet, CREATE YOUR FREE ACCOUNT HERE. You’ll get two FREE websites, 10 FREE training lessons towards an Internet Marketing Certification, access to a huge community of 1 million+ entrepreneurs, and our ongoing KOHA newsletter about Christian living, Starting a Ministry, or Growing a MInistry online. CREATE YOUR FREE ACCOUNT NOW. Have you seen the impact of any of these 10 things on ministries? How did you handle it? Did I leave any additional reasons why ministries fail from my list? Please leave your comments, questions, or feedback below. I don’t think you left anything out. They’re all things that not only apply to religious ministries but to most any businesses that are being started in today’s age. I’m reminded of the verse in Psalm 127: Unless the Lord builds the house, then those who build it do it in vain. It’s really helpful to remember that we need God to work in our business in order for us to succeed. I’ll definitely be thinking about what you’ve written. Thanks for writing this article. I completely agree that these principles apply to for-profit businesses, charities, churches, and any other form of business. I love that scripture reference in relation to this. You’re right. We need His strength. Thanks for the feedback and for stopping by!